Set of 3 Sandwich Crust Cutters Just $11.99! You are here: Home / Great Deals / Amazon Deals / Set of 3 Sandwich Crust Cutters Just $11.99! Amazon has this Set of 3 Sandwich Crust Cutters for just $11.99)! 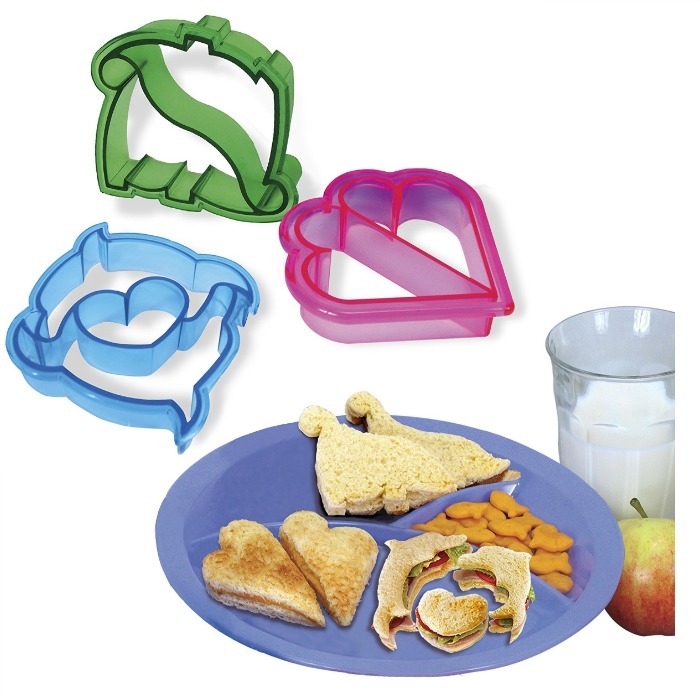 These innovative cutting tools remove the crust from bread creating fun shaped sandwiches that any child will love. They’re great for school sandwiches, parties and more. The three designs can also double as cookie cutters. Top rack dishwasher safe.